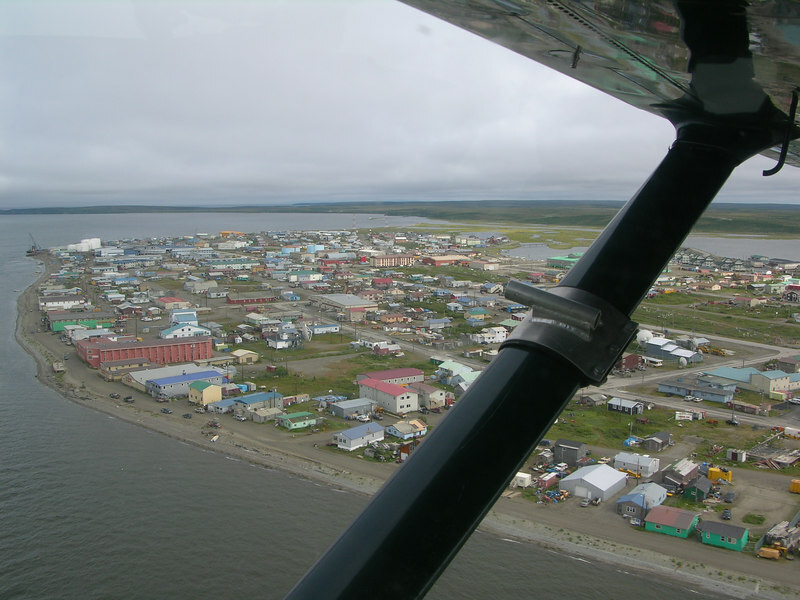 Kotzebue from the air. Mostly Inupiat Eskimo, Kotzebue (pop. ~3,500) is the population center and distribution hub for all of Northwest Alaska, an area the size of Indiana.